With 50 million visitors per day at its peak, Megaupload was one of the largest file sharing siteson the internet. When the police raid in January of this year forced Megaupload to take down it’s service and many of it’s key employees where arrested. 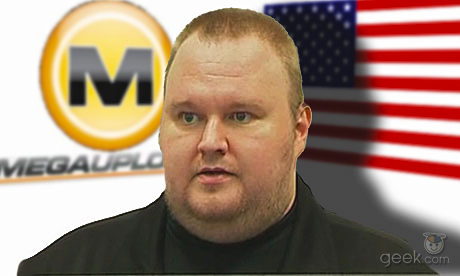 In spite of the current criminal proceedings Dotcom and his team are driven to launch a new Megaupload, which will be be called “Mega”. At the start the new Mega was anticipated to launch in 2012, but the latest information says launch is now scheduled for January 19 2013, precisely one year after Megaupload was shut down. “The new Mega will launch exactly 1 year after the raid,” Dotcom announced a few hours ago, adding that there’s a Doomsday launch button in place, a reference to the device U.S. authorities claimed could have been in place to self-destruct the old Megaupload in the event of a raid. “All non-US hosters will be able to connect servers & bandwidth,” he stated. One point that still remains a mystery is the URL of the new Mega will be functioning on. Megaupload.com remains seized and is therefore unavailable.